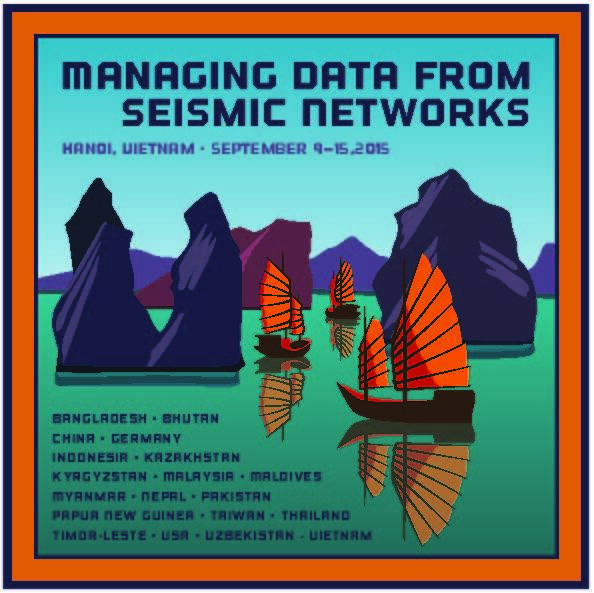 In September 2015, forty-seven seismologists and operators of seismic networks from 19 Asian countries participated in a week-long training course on the management of data from seismic networks. Most participants stayed on for an additional two-day Advanced Studies Institute. 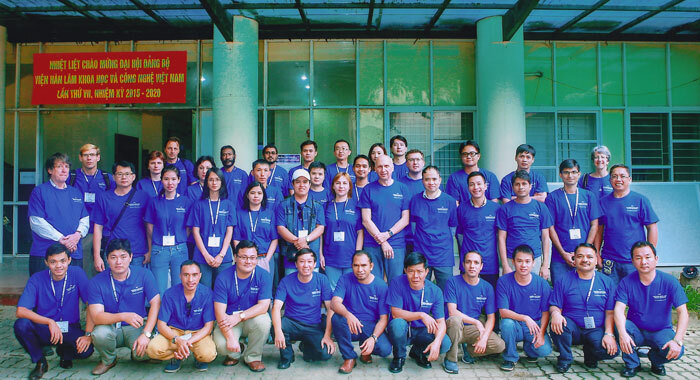 Participants came from Bangladesh, Bhutan, China, Indonesia, Kazakhstan, Kyrgyzstan, Maldives, Malaysia, Myanmar, Nepal, Pakistan, Papua New Guinea, Taiwan, Thailand, Timor-Leste, Uzbekistan, Vietnam and lecturers came from Germany and the United States. Topics included an Introduction to IRIS including IRIS Data Services and its Data Management Center in Seattle, the International Federation of Digital Seismograph Networks (FDSN), site selection and installation specifics, real time data transmission systems, station metadata and the IRIS Portable Data Collection Center (PDCC) software, an introduction to Python and ObsPy for data analysis, the SeisComp3 Seismic Network Management System, how modern broadband data are multipurpose being useful for monitoring and scientific purposes, and the MUSTANG quality control system. Lectures were presented by Dinh Quoc Van, Peter Davis, Rick Benson, Mary Templeton Joachim Wassermann, Bernd Weber, Emile Okal, and Tim Ahern. Each network in attendance also presented descriptions of the current and future status of their networks. The workshop was followed by a two-day Advanced Studies Institute with two tracks of instruction. Felix Waldhauser presented a course on the use of double difference techniques for earthquake relocation and Robert Herrmann provided instruction on the calculation of regional moment tensors. The workshops were sponsored by the National Science Foundation through an award to IRIS (EAR-1261681), the Institute of Geophysics of the China Earthquake Administration (CEA), Taiwan Earthquake Center and Institute of Earth Sciences of Academia Sinica in Taiwan and IASPEI. Our local hosts were the Vietnamese Institute of Science and Technology (VAST) and the Vietnamese Institute of Geophysics. Our regional sponsor was the Regional Integrated Multi-Hazard Early Warning System for Africa and Asia (RIMES). More information can be found at the workshop website and includes the complete agenda, all presentations, network reports and a list of attendees.